On the 18th of January this year, a new Estonian Startup Visa programme was launched, initiated by the local startup community and the Estonian Ministry of Interior, allowing non-EU nationals to come and work for Estonian startups, relocate their existing startups or found new ones in Estonia on preferential terms. The programme has now successfully been running for 3 months, bringing in a total of 106 applications from 29 countries. In order to qualify for the preferential terms of the Startup Visa, startups must fill out an application detailing their business and team, which will then be evaluated by a Startup Committee consisting of members of the Estonian startup community. So far, the Startup Committee has given a positive evaluation on 39 applications, negative on 62 and is processing 5. Majority of the applicants for the Startup Visa are the nationals of Ukraine, Belarus, Russia, Turkey and India with the most successful applicants coming from Ukraine, Belarus and Turkey. After a positive evaluation, the startups can proceed to applying for a visa or a permit at an Estonian Embassy or the Estonian Police and Border Guard Board, who is currently processing the first 30 applications from startup founders, eager to start and grow their companies in Estonia. However, as obtaining a living permit or a visa can take up to a few months, the majority of the applications are still being processed. Positive decisions have so far been made for the nationals of India and Ukraine. Regarding the Startup Visas for working at an Estonian startup, 29 applications have been submitted with the most successful being the nationals of Ukraine and the USA. Additionally, there have also been applicants from countries such as Columbia, South-Africa and the Philippines, to name a few, who are currently still in the wait for the decision on their application. Tomi Piriyev, a startup founder from Ukraine who was one of the first people to obtain a Startup Visa, says that the launch of the programme could not have come at a better time for him. "I had been an e-resident of Estonia for some time already when I decided to come for a visit as well. After seeing first hand how well the governmental (e-)services work and how easy it is to operate a company, I set out to relocate both myself and my startup to Estonia," said Piriyev. "I've only had positive experiences with Estonia so far - welcoming people, great business environment, good connectivity and a high acceptance of English-speaking people," shared his first impressions Avijit Sarkar, a startup founder from India. His startup is working on developing an integrated mobile app and web solution for booking events, movies, plays, restaurants and other entertainment activities for the European market. 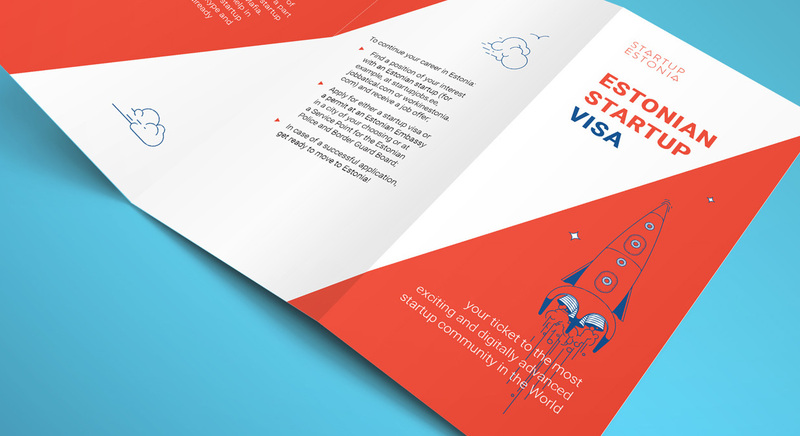 "When launching the Startup Visa programme, we weren't really anticipating such a great interest but are very pleased to see that a large part of the interest has come organically through the recommendations of Estonians and international friends of Estonia. The process is new to us all and just like startups we are also constantly learning and improving. The most important thing for now though is that the people coming to Estonia on the Startup Visa would feel welcome in the society and get a positive first experience," commented the project manager of the Startup Visa programme, Rivo Riistop from Startup Estonia.